The Detroit Princess is a 5 story riverboat located in downtown Detroit. Serving lunch and dinner most weekends and some weekdays. 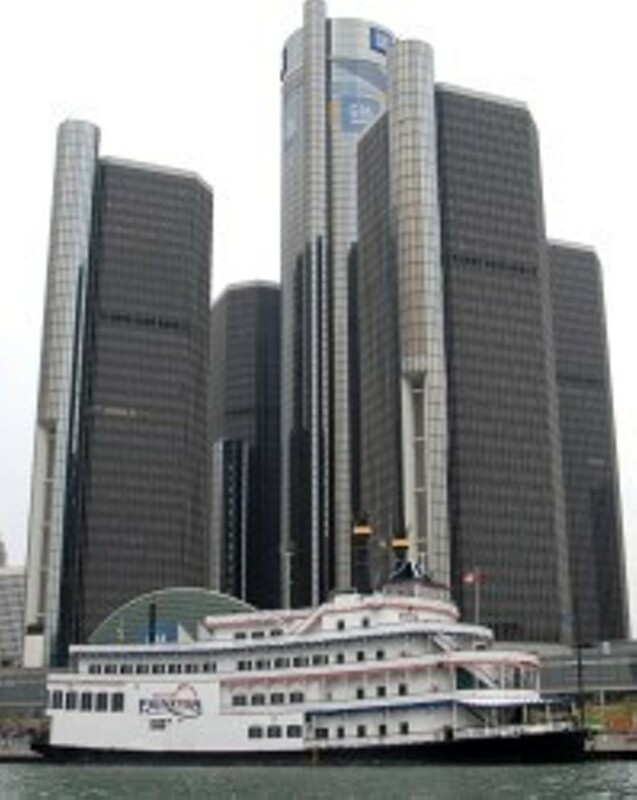 The two and a half hour cruise takes in the scenery of both Detroit and Windsor, cruising past Belle Isle and up to the mouth of Lake Saint Clair. With linen tablecloths and napkins, chandelliers, mahogany trim, brass ceilings, dance floors and bars on all levels, the Princess is a very elegant venue for your night out. Dinner features a five entree buffet of carved prime rib, chicken Florentine, teriyaki grilled salmon, chipotle apricot glazed pork chops and vegetarian lasagna, along with potato dauphinoise, cheese tortellini with pesto cream sauce, wild rice, Caribbean vegetable medley, assorted salads, dinner rolls and dessert. Entertianment is a bonus with the Motown tribute band the Prolifics. They will dazzle you with their matching outfits, crocodile leather shoes and in- step Motown signature theatrics. Other entertainment options on certain nights include Jimmy Buffet's Margaritaville featuring Michigan's own Air Margaritaville tribute band, blues by Randy Brock and Dixieland jazz by the Bayou River Band. On late night moonlight cruises, DJs Captain Sky and Lighting Rod Stinson play nightclub style music. Private dining rooms are available for parties from 50 to 450 people. The whole boat is available for up to 1900 people. They also cater to ethnic groups, Halal, Kosher, Indian just to name a few. Visit detroitprincess.com for an up-to-date schedule. Reservations are required.